I have really missed being over here on the Create A Smile blog with you all! 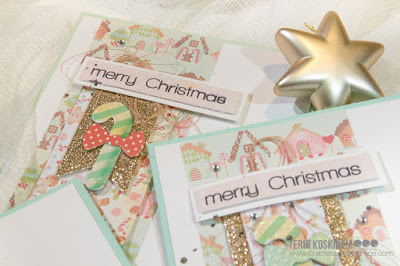 Today we are going to be making a super easy but really pretty snowflake background. I really wanted to use the gorgeous colors that are in the sequin pack from the latest kit. I thought it would be awesome to create a fun winter background that I could pair with just about any sentiment. Don't be afraid to mix up your colors and build those layers. This is the type of background that could easily be recreated with flowers or leaves no matter what the season! Thank you so much for stopping in today! Hi everyone! 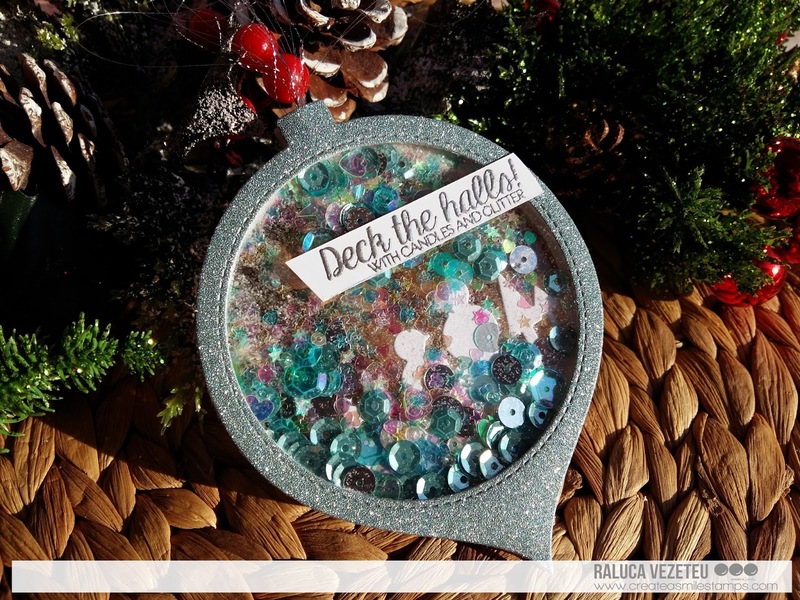 Raluca here with a new Christmas project!!! The moment I saw the die included in the "Frosty Fun" winter kit I thought that it will look absolutely gorgeous as a Christmas tree ornament! * I die cut 3 times the die, twice from white cardstock and one time from blue glitter paper. * I added 2 layers of foam tape so my shaker mix would have enough space to move around. * I glued the bottom piece of the die inside the shaker and I added the sequins. 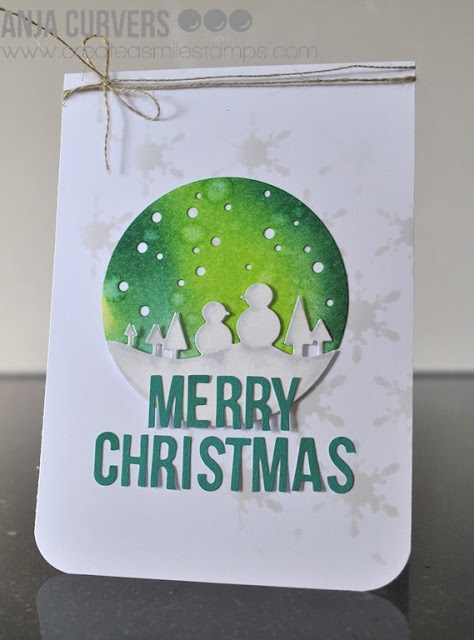 * On a strip of white cardstock I stamped the sentiment in VersaMark and added silver embossing powder. * I adhered the sentiment on the ornament and my project was done. If you love Instagram like I do, you can follow Create A Smile using the name @createasmilestamps and if you have any questions about card making, techniques or products or if you want to share your creations with Create A Smile fans join us on our Facebook group Create A Smile - Friends & Family :). Hi there it's Anja again with another christmascard to show you. As you already may have noticed create a smile stamps has a new kit, the frosty fun kit and believe me it's an awesome new kit. Perfect for the Christmas and holiday cards but also for a lot of other cards. For today I wanted to share a christmascard with you. 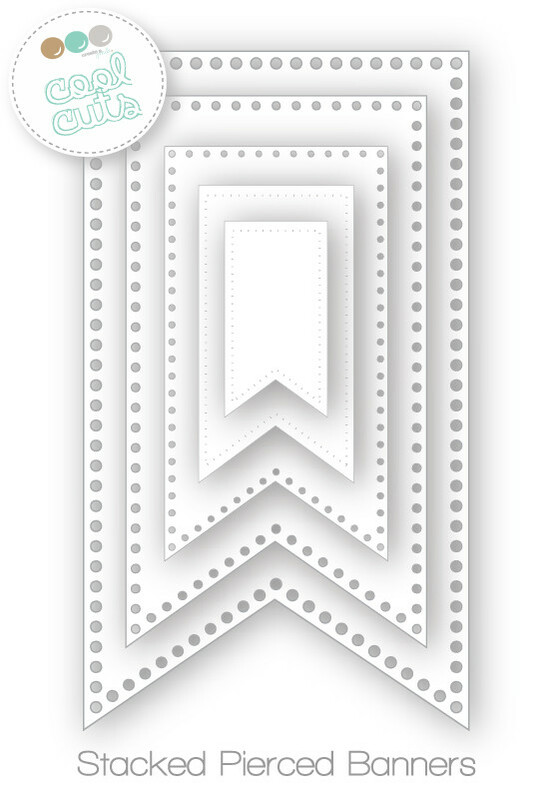 I started with a topfolded white cardbase and used the stencil from the kit to get a vague background. I used the adorable dieset from the kit but only the inner part. I sponged the upper part with distress ink, glitterspary and some water. The bottom part I colored with some copics to get some shadow. I adhered it to the card and made the sentiment by using the letterstickers from the kit. Rounded the corners of the card and some twine at the top and my card was finished. To create a vague background use a light ink color and only sponge part of the pattern. 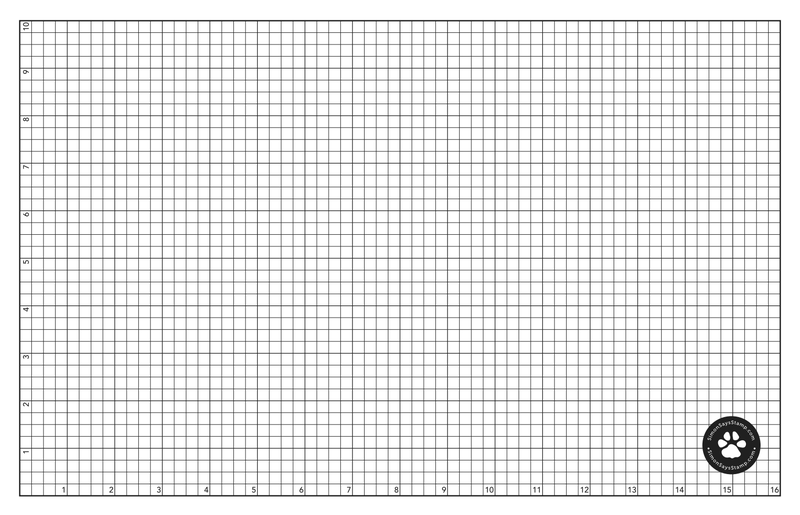 If you want to line up the letterstickers to form a word place them onto a ruler and positioning the word onto your card and you can easily place them. Visit us on a regular base to get lots of inspiration and please join in the fun for the new challenge to come. 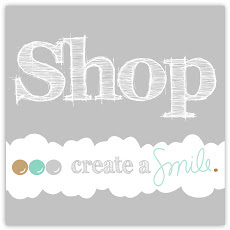 Hello Create A Smile fans! Terhi here today, with Christmas cards. Yes, as a scrapbooker I went far away from my comfort zone and created simple Christmas cards. 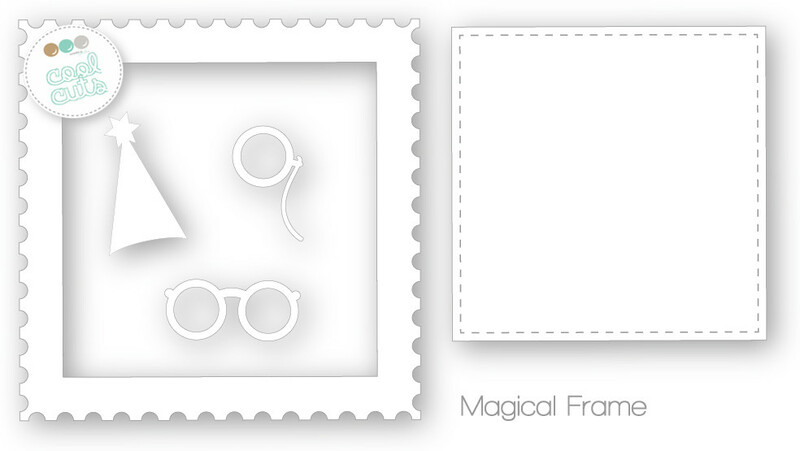 The basic idea was to create as simple cards as possible. I'm the kind of person who get bored fast, so I wanted to create something my daughters can re-create and be inspired by if they want to. They are passionate little crafters and always copying my samples, so this time I actually took advantage of it. I made these six, they made lots more. In order to craft with kids, let them be creative! I made the sample, left all material for them but I didn't give them specific instructions how to do it. Rolling die cutting machine is exciting for them (well, for me too :D) so they did that by themselves as well. It's not that serious if the frames aren't even, or there is glue all over. It's fun, it's handmade and it's creative! Did you notice our newest kit? It's called 'Frosty Fun' I highly recommend you to take a look - it's amazing! You'll find it here. Christmas Card with New Kit! Hi Everyone! 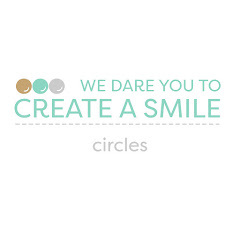 If you didn't already know this, Create A Smile has released a brand new kit! And don't worry, this kit is not only for Christmas cards but it's versatile. I will share some non-Christmas cards ideas next time but for today, I couldn't resist to make some christmas cards. As you might have guessed, I used the stencil! I coloured my white texture paste with a bit of red to create this soft pink. I used my red distress ink (Barn Door). You can add more ink or less to make the colour for vibrant or muted. 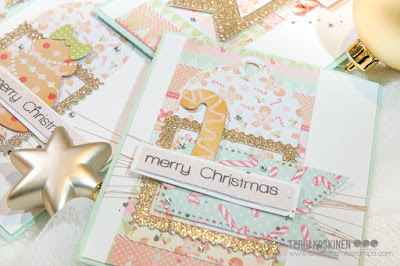 I've also embossed the big sentiment on vellum with Gold Embossing powder and finished the card with some sequins that you can also get from the kit.